Tarte amazed me with its’ enchanting Make Believe In Yourself Eye & Cheek Palette, inspired by a mythical creature, exquisite unicorn, from fairy tales. And, the product really granted this to my life with 10 different fancy eyeshadows and a charming highlighter. From the elegant packaging design to excellent quality, all of which literally make my day. Of course, this is not all Tarte can give us. I just want to gratify my fanatic-self a little bit longer. Alongside fabulous makeup palettes, Tarte also has countless outstanding lipsticks. I’m about to introduce another buddy I brought home with me last week. Gotta say It’s one of the best thing I’ve ever seen. Sorry if this sounds insanely exaggerated; but, I’m so ecstatic that I got it. Let’s dive in my candid review of Tarte Tarteist Creamy Matte Lip Paint in So Fetch. 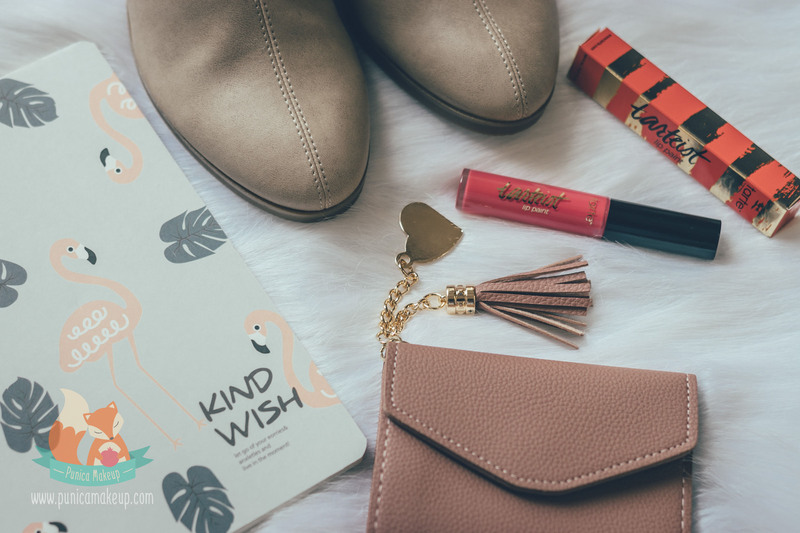 Tarte released a wonderful product line of the Tarteist Creamy Matte Lip Paint with 30 shades that are supposed to work best for your desire and skin tones. They are vigorously rich in pigment and long-lasting without heavy, thick feeling. The liquid matte lipstick tends to provide a lush, silky texture, intense definition, high coverage and excellent color saturation. Considerately designed with a bunch of impressive hues following simple, minimal; but also, professional, dramatic makeup. However, all of the shades are not too extreme or out of comfort zone if that makes any senses to you. Majority of the shades are elegant and wearable for daily or occasional concepts. You can find light, neutral, medium and dark ones. Formulated with many silicone-based ingredients, such as Dimethicone, Dimethicone Crosspolymer, Polymethylsilsesquioxane and Caprylyl Methicone. These act as conditioning agents to improve the texture for a soft, smooth lips as well as avoid chapped, dry look. Moreover, the product contains preservatives and Stearic Acid, derived from vegetation to prevent the substance from separating into different consistencies. Infused with Mentha Piperita oil extracted from Peppermint for a naturally soothing effect upon your lips. The lipstick is vegan, rigorously tested for a safe, high-quality condition in the absence of Parabens and Phthalates. 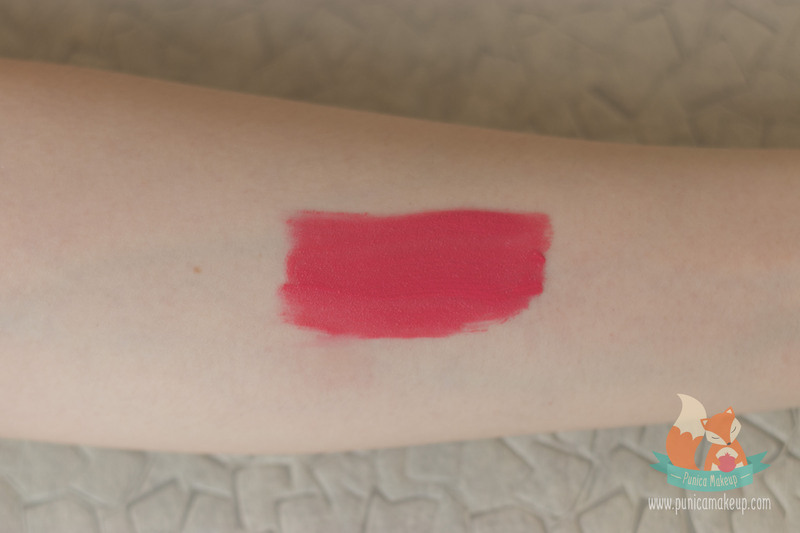 I got an interesting shade with a light to medium coral pink, warm undertones and semi-matte finish. This is one of my best choices ever. I’m really digging into its’ color, which is impeccable, vibrant and highly saturated. The pinky coral won’t be easily washed out or altered, while heading outdoor. 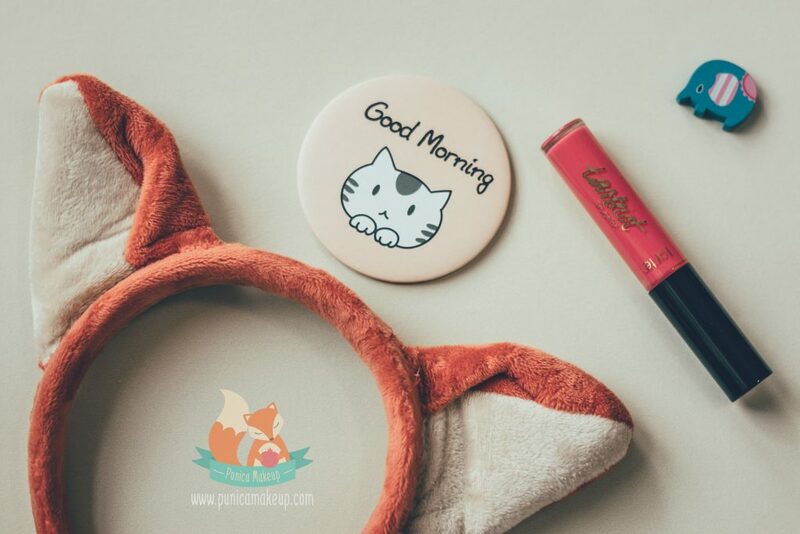 This is amazingly suitable for everyday and even, festive makeup. My face always looks tired and pale; So Fetch is really sweet and ethereal, naturally brightens and glams me up. I look more confident and much livelier. The creamy matte lip paint is pretty long-lasting for 6-7 hours; feel free that eating and drinking won’t mess it up. The shade slightly fades away; however, still keeps your lips stunning. 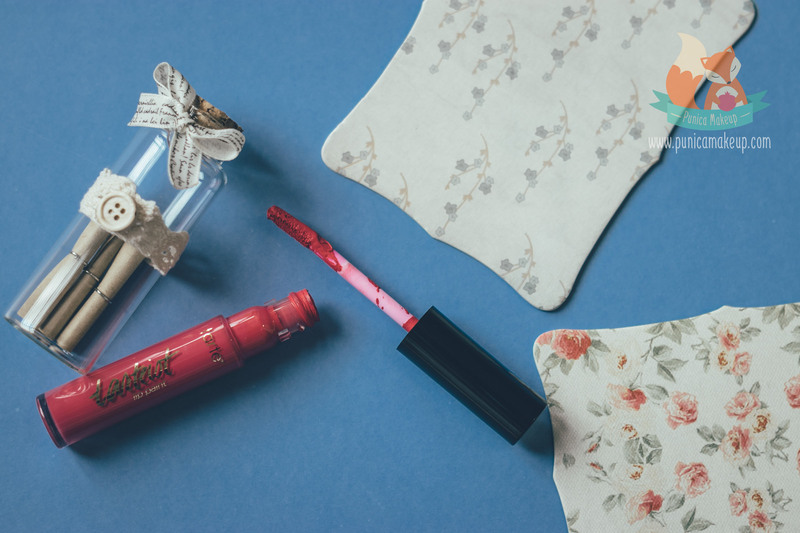 When applying the lip paint, it noticeably soothes my lips with a cooling, refreshing sensation and mild minty scent. The product isn’t runny or watery like many other liquid lipsticks. It really has a soft, creamy; but also, lightweight consistency that I can feel between my lips and fingertips. Plus, it’s very pigmented, you can effortlessly achieve a medium-full coverage in two to three coats without dull, caked-on appearance. Oh my gosh! How can I say? It’s like genuinely gliding onto lips and delivering velvety texture. Instead of drying down completely and accentuating fine lines; it rather smooths out the imperfection and provides a plump, fuller lips. That’s shockingly adorable I can tell. In spite of doing some extra coats to get a bolder look, the product doesn’t cause patchy residuals or streaks. There may be a few tiny, subtle clumps on the centres of the lips. No big deal, I just need to gently blot them with a piece of tissue. To be honest, I’m really clumsy, not a liquid lipstick person. Otherwise, this one doesn’t stress me out at all. Easy and quick to apply neatly; it didn’t smear around, leave stains on my teeth or get blotchy when pressing my lips together. The product’s formulation delivers sufficient concentration and definition. I highly recommend this to our lovely beginners who usually struggle with how to put makeup on. Of course, remember not to press your lips once you apply the liquid lipstick. It’s important to let your upper and lower parts dry separately in a few seconds. But, the creamy matte lip paint is so incredible. Lots of matte lipsticks I used before drained out my lips and resulted in a desperately cracked, chapped look at the end of day. That was really hurtful. 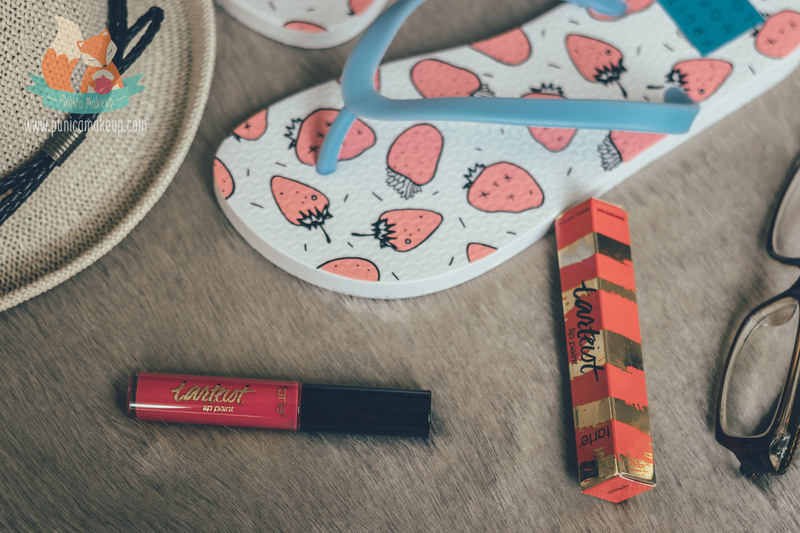 I don’t mean the Tarteist Creamy Matte Lip Paint is very hydrating or moisturizing; otherwise, at least it doesn’t drive my lips crazy with flakiness. For a silky, healthy look, necessarily exfoliate and afterward, moisturize with lip balm or conditioner prior to applying liquified lipstick, ladies! Typically, I gotta use lip pencil to map out the shape and then, set the liquid ones in place symmetrically. However, the creamy matte lip paint is literally under your control to go all the way. Regard to how it possibly disturbs my routine activities, the product usually leaves marks on my cup or anything my lips can interact with. I find quite stubborn about that; Anyway, I still adore it. I’m fairly positive about the packaging design. The product comes into a plastic bottle which is small and handy with black top and golden, shiny letters, “ Tarte TM Tarteist lip paint.” There is a soft, slanted sponge, attached right underneath the lid. I don’t like the applicator much, it’s kinda cheap and not tough. The lipstick is more likely to smear onto the brush. That is wasteful and not sanitary. However, thankfully, the genius Tarte designs the container with a narrow head that stops lipstick spilling outside. I really love the product, it’s fantastic and enjoyable. Most of skin tones are gonna fall in love with the shade. I give it 9 out of 10 without a regret. You can check the price below, dreamers! Hope this review is helpful and informative enough about the Tarte Tarteist Creamy Matte Lip Paint in So Fetch. If you have any ideas or questions, please let me know your thoughts. I’m grateful for that. Thank you so much for joining us! Wow! It’s really a good information. Note this. My lips do feel comfortable with it. Thank you so much for sharing your experience! ?